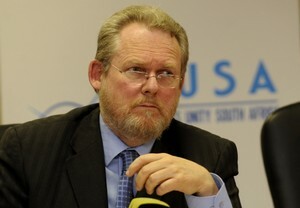 After being withdrawn by minister of trade and industry, Rob Davies, earlier this year, the Licensing of Businesses Bill has re-emerged as one of the tools deemed necessary for the collection of tax from illicit trading, in this case the thriving illegal cigarette market where billions of rands in duty are being lost annually, either as a result of local manufacture or illegal importation mainly from Zimbabwe. Originally part of a plan by the department of trade and industry (DTI) to encompass within the tax net a whole range of small and micro businesses in the informal sector, the Licensing of Business Bill was tabled in Parliament designed to register all businesses operating in South Africa. Its non-selective nature was seen by business, self-evident during parliamentary hearings, as an enormous bureaucratic burden adding yet further red tape to commercial activity and the cost of doing business in South Africa. As a result of the debate that followed in the portfolio committee on trade and industry, the minister agreed to withdraw the Bill and for DTI to re-think the issue. It was clearly far too wide ranging, unnecessarily complicated and contained a number of unintended consequences, as pointed out by business and industry. DTI said recently, when drawn into the current issue of illicit tobacco manufacture and importation, that mechanisms were indeed needed to control business in the informal sector and it might still require all businesses to obtain a licence from the local municipality but how such a system would work is still being refined. 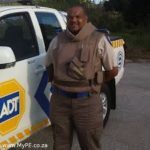 A paper on the subject is to be submitted to the ministry by DTI, they say, pressurized now to some extent by the needs of department of police needing tools to control trading in certain commodities, particularly amongst the informal sector and to a certain extent in the micro and small business areas. Also SARS joins the complainants in the light of the losses in excise duty. DTI will no doubt be assisted by SARS in trying to widen the tax net accordingly. 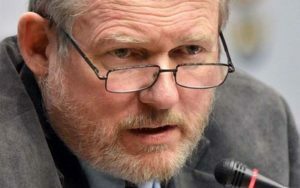 Not scrapping Licensing of Businesses Bill…..
Trade and Industry Minister Rob Davies says his department (DTI) is to re-represent a Licensing of Businesses Bill to Parliament which will be “significantly different” and will take into account business concerns expressed over the recent hearings in April. He told a parliamentary press briefing that the purpose of the Bill had been to “combat illicit trading” but there had been no provision in the Bill that targeted foreigners. He said, “This is the economy of illegal imports, this is the trade in sub-standard products and this is the economy of people who don’t pay their VAT. The original Bill presented was designed to combat the significant illicit economy that was operating in South Africa’s urban and peri-urban areas, and which in DTI’s view posed a serious a threat to small businesses in the country. 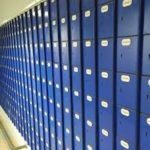 “It never was our intention to have an onerous registration process, which requires business people themselves to do a lot of things,” he said. The idea is to have municipalities, in the course of registering people for all kinds of services, to then forward these names to a national database. He argued there was a tendency to see any kind of regulation as “red tape”, whereas there was a distinction between red tape, which was bureaucratic and unnecessary, and regulation which was needed for good reason. 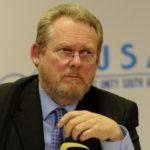 Minister Rob Davies, department of trade and industry (DTI), has announced yet a further set of incentives to bolster manufacturing and general engineering industries against the current downturn in economic conditions, intended also to counter dismal local market conditions and the effects of recession in some of South Africa’s top export destinations. Known as the Manufacturing Competitiveness Enhancement Programme (MCEP), DTI’s programme is aimed at tempting manufacturers to upgrade their production facilities, the incentives being greater as more labour sustainability appears in the returns and value is added by expansion to the processes involved and markets are built. Said Davies, “The MCEP will also aim to address the general ability of the South African manufacturing industry to compete against imports and to also to compete globally against its counterparts in other export markets.” His statement followed his budget vote speech in the National Assembly on this point. The grants in general will be managed by the DTI and in the case of capital grants “cost sharing” will be between 30 and 50% of the investment, with smaller firms receiving a larger percentage of their investment. This incentive has been opened to all manufacturing enterprises not covered by sector-specific incentives, such as those available to companies in the automotive, clothing and textiles and business process outsourcing industries, Minister Davies said. Launching the R5.8-billion programme, Minister Davies added that a number of types of grant were involved – namely a straight forward capital investment, as already mentioned, involving upgrading capital equipment and expansion of productive capacity. Then there was a “green technology” grant for an existing production process that becomes “greener” as a result of capital injection, resulting in cleaner production and improved energy efficiency. 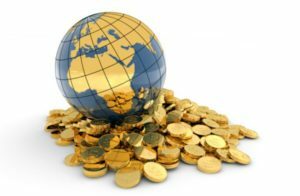 This would have the same cost sharing arrangement at between 30 and 50% of the investment, with smaller firms again receiving a larger percentage of their investment. There are also to be enterprise-level grants, where investment in the adoption of world-class manufacturing practices were involved, ranging from lean production technology to gaining an ISO mark and where cost sharing would be as high as 50 -70%. Similar cost sharing arrangements would be offered for feasibility studies grant, resulting from a programme where “a bankable feasibility study for new manufacturing projects” was found to be acceptable. Finally, there would be cluster initiatives grants towards support for cluster initiatives to improve competitiveness, innovation and access to new markets and where technology development centres, market research, international advertising and publicity costs were deployed to gain new markets. Dr Rob Davies said that it was important for DTI to ensure that the MCEP grant programme was “flexible” in its application and he said that the working capital portion of the grant which will be managed by the Industrial Development Corporation. Manufacturers and organisations can begin applying from June 4, which is when DTI will open its Internet online application system, the Minister said, implying this would be on the DTI website.